We recently learned about an initiative called Roots to Recipe that took place this summer at the PNE. 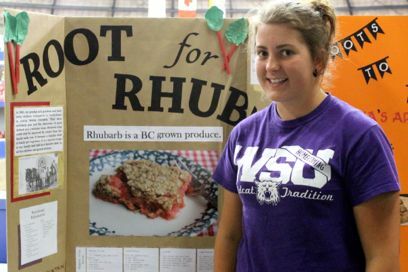 A partnership with BC Agriculture in the Classroom and the BC 4H club, the goal of this fun project was to help connect young people to their family heritage AND to BC agriculture in an educational way. 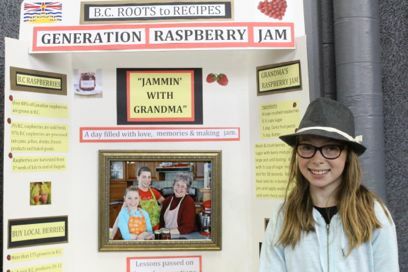 Over 95 contest participants from around BC submitted their family recipes, resulting in a wide range of fascinating displays. All of these lucky participants enjoyed the opportunity to attend a seminar hosted by celebrity chef, Trevor Randle, who demonstrated how to prepare yummy creations such as BC pork sliders with coleslaw for the participants to sample. 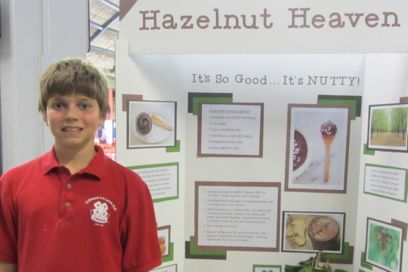 A big congratulations to the Roots to Recipe winners: Tyla Gulbranson, Mathew Hergott and Amanda Mcgillivrav! Each of these three winners uses BC ingredients in their cherished family recipes, which you can enjoy by clicking on the links below. We love the Roots to Recipes concept so much that we're putting forth this important question to you, our community. What recipes in YOUR family tell a story about your local agriculture AND your personal heritage? It’s a great question to ponder—perhaps over dinner tonight! Let us know what you discover by joining the conversation here.